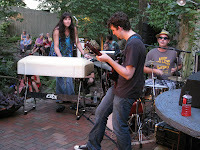 A Yellow Springs Blog: Quite the show! First of the Experience Saturday series. 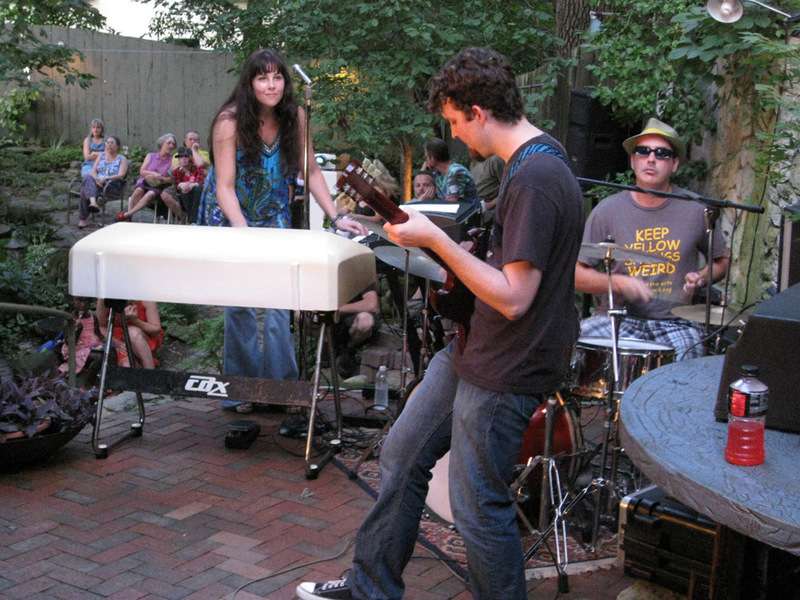 A multi-media, visual and musical performance presented by Yellow Springs Arts Council. Performance by The Show. Video Projection by The Now Device. Salon Chat with Rod Hatfield of The Now Device. Art exhibit by The Show guitarist, Ryan Henry. The Show band members also include Jessica Kinzer and Matt Housh. Event took place at the Yellow Springs Arts Council Gallery and Exhibition Space, 309 Xenia Avenue, Yellow Springs, OH. Experience Saturday is funded in part by a grant from the Yellow Springs Community Foundation.